We have had one heck of a winter but March has finally arrived. I know it may not look like March in many parts of the country, but it’s here, and I can’t be more excited. Best of all, this is the month that our gardens start to wake from their long winter slumber. 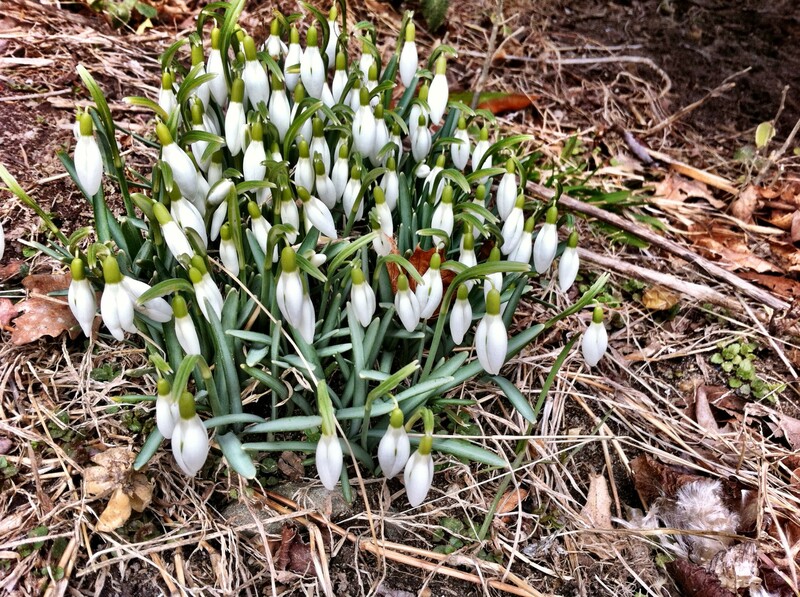 So, as I like to do every month, I’ve put together some March gardening tips & “to-do’s”. I like these posts as they tend to keep me on my toes while hopefully helping you do the same or even learn something new. Plan, plan, and plan. I’ve been planning for some time now, but it’s getting late at this point. If you want to add gardens, shrubs, trees, etc…you should definitely have a plan going in. If you haven't get those tools out and cleaned up, this will save you a ton of time. Stay on your pruning when you can. Prune trees & fruit trees before new growth begins, prune late flowering shrubs but leave spring flowering shrubs alone it’s too late for that now. Cut back your ornamental grass. The easiest way to this is to tie the grass with garden twine, and use a serrated machete, or garden shears to cut the grass about 3 inches from ground level. If you grow garden mums, and didn’t cut them back you can do it now if you get a mild day to do it. Remove winter mulch, or work it into the beds adding 4 to 6 inches of compost as well. I don’t mind working in my winter mulch with my compost unless you see that you have an excessive amount of mold build up, in that case remove it before adding your compost. In my zone (5b) I wait to unwrap my evergreens as I have pretty high deer traffic. In fact I’ve already made a batch of my own “deer-off” and I’ve started to spray it around the yard. If you haven’t started sow annual and vegetable seeds. Seeds should be sown according to their seed pack, some seeds need 10-12 weeks before being transplanted. When the soil becomes workable you can sow early season vegetables directly into the garden. You can find great lists of “spring tolerant” vegetable on line, like this list from Better Homes and Gardens for example. Be sure soak mail order bare-root plants before planting. For best results soak them in Annie Haven’s Manure Tea. If you've overwintered geraniums, get them out mid-month, cut them back by haly half, plant them in a pot, and put them in a window that gets nice light but doesn't get to hot. I'll be doing a post on getting my overwintered geraniums out and potted up in the next couple of weeks. Transplant and feed your indoor plants, as they will begin to grow in the early spring months. So that's some of what I'll be doing to get going this spring. Obviously if you still have a foot of snow on the ground like I do many of these things will have to wait. But trust me when I say the quicker you can get to these simple chores the more you’ll be able to enjoy springs “splendor” when it really arrives. What are you doing this month, I’d love to hear from you. This entry was posted in Birds, DIY, Gardening Tips, Homeowner, Indoor Gardening, Landscaping and tagged best no kink water hose, Compost, Garden, Home and Garden, kink free garden hose, March, Plant, Shopping, Sowing, the perfect garden hose, tuff guard hose, TUFF GUARD The Perfect Garden Hose, Twitter, United States, unkinkable garden hose, Vegetable. Bookmark the permalink.